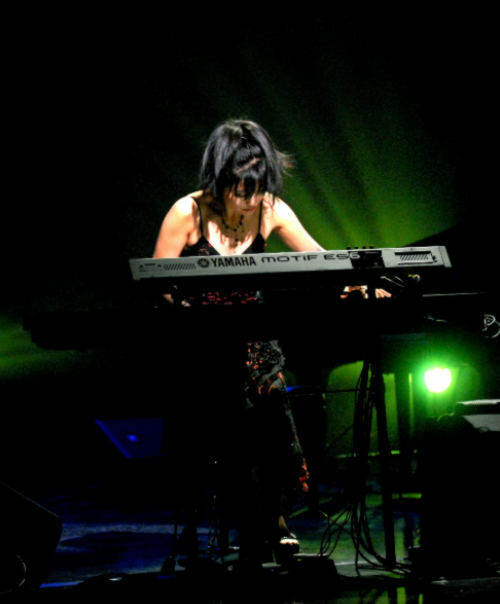 Keiko Matsui made her US recording debut in 1987 with the recording A Drop of Water. Under Northern Lights followed in 1989 and her subsequent albums of note include No Borders (1990), Night Waltz (1991) Cherry Blossom (1992), Doll (1994), Sapphire (1995) and Dream Walk (1996), which remained on the Billboard Contemporary Jazz Chart for over 15 months and further cemented her reputation as a force to reckon with. In 1997, she launched a tour dedicated to raising awareness of breast cancer, and released a four-song CD entitled A Gift of Hope that benefitted the Y-Me Breast Cancer Organization. Her music was prominently featured in Say It, Fight It, Cure It, a Lifetime special profiling several courageous women battling breast cancer. “My fans come from all backgrounds and I have been approached by various foundations to join in their efforts. When I hear of a cause that resonates with me that I can dedicate my music to then I am always willing. It is my way to show gratitude and give back,” states Keiko Matsui. 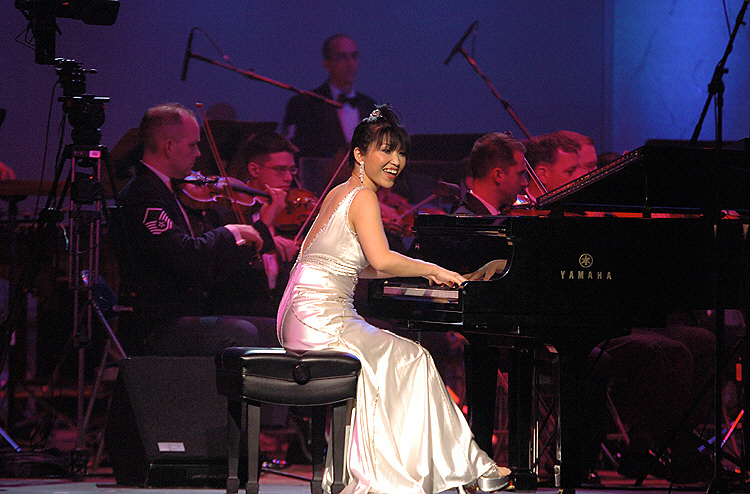 In 1999, the pianist performed at “A Golden Moment,” a skating concert featuring Olympic figure skaters Kristi Yamaguchi, Tara Lipinski, Ekaterina Gordeeva, and Katarina Witt, which benefitted the Susan G. Komen Foundation. 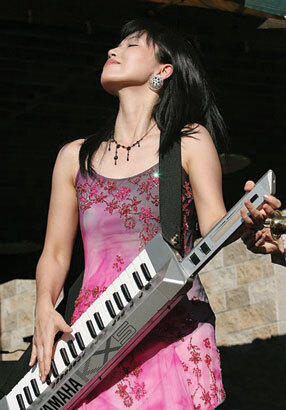 1998 saw the release of her album Full Moon And The Shrine, which was accompanied by the acclaimed PBS-TV special Keiko Matsui: Light Above The Trees. 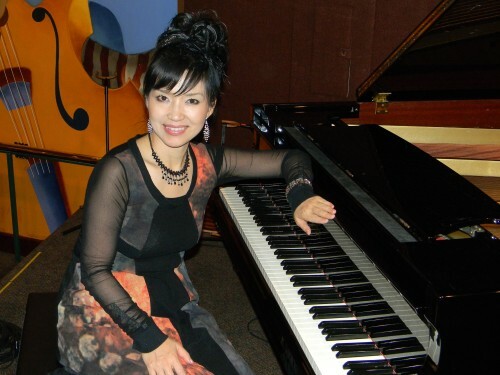 In 2000, the special earned Keiko a National Smooth Jazz Award for “Best Long-Form Video Achievement” and she was honored with an award for “Best Female Artist.” She claimed the award again in 2001. In 2002, she released the poignant recording The Ring, which was meant to communicate a message of peace, compassion, and humanity to listeners around the world. Keiko Matsui’s CD Deep Blue (2001) topped Billboard’s Contemporary Jazz charts for three consecutive weeks. Keiko is the first Japanese artist to achieve this honor. In 2003 she enjoyed success with her recording The Piano, which featured reinventions of some of her most loved original works. In 2004 the title track of Keiko’s Wildflower was used to support the United Nations World Food Programme’s efforts in Africa. “I decided I wanted to support the WFP after learning about the tremendous problems in Africa and how humanitarian assistance can change people’s lives for the better,” shares the activist.” Keiko has also collaborated with A3M (Asians for Miracle Marrow Matches) in numerous charity concerts. In addition proceeds from her 2001 mini-CD, A Gift of Life, went to The National Donor Program and Marrow Foundation in support of A3M. In December 2009, the highly sought-after pianist was asked to put together a Christmas show at the Blue Note club in Tokyo, which was a major success and in November 2010 she made her highly anticipated debut at the Blue Note in NY, which was sold out. In 2011 Keiko recorded with fellow pianist Bob James on a four hand piano project calledAltair & Vega. Keiko’s depth as a composer has also allowed her to contribute music to soundtracks in Japan, the U.S. and Russia. She also released her critically heralded Top 5Billboard Recording The Road… which featured Cameroonian bassist Richard Bona and saxophonists, Kirk Whalum and Jackiem Joyner among others. Soul Quest opens with the transcendental and majestic “Dream Seeker,” a melodic prayer that Keiko holds for all mankind. “I want everyone to have a dream and to seek it.” She co-wrote the song with guitarist and producer Chuck Loeb and it features the flamenco-like and ethereal guitar of Loeb along with the soaring soprano saxophone of Andy Snitzer. Soul Quest’s first single “Black Lion,” was inspired during a rigorous Eastern European tour in which Keiko and her band played an exhausting five countries in five weeks. They were even detained at one point due to problems with travel visas. However, the courageous and optimistic pianist drew inspiration from happier times during her tour. “Creating this album was like going on a soul quest, as I tried to figure out how to express the things I was thinking and experiencing during this past year,” confides pianist, composer and humanitarian Keiko Matsui (pronounced Kay-Koe, meaning ‘happy, celebratory child’ in Japanese). “This music energizes me and I am overwhelmed with emotion when I listen to it. I hope people will allow themselves to go inside the music and become a part of my journey,” says the stunning, profound pianist and world citizen who is celebrating a triumphant 25 years of recording in the US. In the words of Duke Ellington, Keiko Matsui is ‘beyond category.’ The courageous, spiritually-driven and consummate artist who enjoyed the distinction of being an invited guest and performer at the second International Jazz Day, sponsored by UNESCO and held in Istanbul in April 2013, transcends boundary. Her unique melting pot of musical influences have garnered her a devout international following. The eloquent and soft-spoken but yet deliberate musician tours relentlessly and seeks to make a genuine connection with her audience. “Everybody has so many things going on in their lives but my concerts are special for me. The music creates a oneness. The exchange I share with my audience is the root of my energy. It’s like my mission.” Matsui has worked alongside the best including Miles Davis, Stevie Wonder, Hugh Masekela and Bob James. A true humanitarian, Keiko has lent her voice to raise awareness for such causes as The Daniel Pearl Foundation, The United Nations World Food Programme, Be The Match Marrow Registry and The National Donor Program and Marrow Foundation. She has also lent her efforts to the continued revitalization and healing of Japan in the wake of the recent Tsunami and Fukushima disasters. “I still have these images of kindergarten teachers holding their kids in order to protect them. I also think about all of the older people who did not make it and the children who lost parents,” reflects Keiko, the first Japanese musician to top the Billboard Contemporary Jazz Charts. “But when I think about the people who did survive, I think that they may be the strongest souls there are. Out of this pain, I have found the greatest strength from these individuals.” Keiko Matsui’s new recording Soul Quest, is a riveting new collection of songs that unfold like an epic journey. With an all-star cast that includes such heavyweights as producer and drummer Narada Michael Walden, guitarist Chuck Loeb, saxophonist Kirk Whalum and bassist Marcus Miller, among others, Keiko explores themes of love, loss, spirituality and environmental consciousness. “I become very serious when I am recording a new album. I carry a notebook around with me and take notes as ideas come to me,” confesses Keiko. “These notes focus my vision. Each recording is like my baby, so I feel such obligation. When I am gone these songs will still be here.” Reflecting Keiko’s universal approach to her life and music,Soul Quest was recorded and conceptualized on several corners of the globe– New York, Japan, San Francisco, Los Angeles and Eastern Europe. “I first met Narada Michael Walden in 2006 at a Grammy party,” shares Keiko. “I knew his work well as a producer and I was very surprised when he told me he loved my piano playing.” Narada and Keiko had plans to record one song together but after they discovered their great synergy together in the studio, they collaborated on a total of three songs – “Moving Mountain,” “Antarctica – A Call To Action” and “Stingo.” The process of recording with Walden was atypical for Keiko. She explains, “Usually before I go into the studio I spend a great deal of time preparing arrangements and production. This time I flew to San Francisco to meet Narada and we got started right on the spot. It was very challenging but at the same time I was able to be myself. It was a real adventure. Their song “Moving Mountain,” is an improvisatory piece that was done in one take. Keiko recalls “When we finished recording, I really felt like we moved a mountain!” Narada and Keiko also join forces for the pianist’s sublime and lilting waltz “Antarctica A Call to Action,” which opens with primordial rhythms and addresses the fact that Antarctica is melting and it is affecting all the animals and entire planet. I hope the music can send a message to the world.” If you listen carefully to the song’s quiet moments, you can hear authentic whale sounds! Keiko is also joined for the first time on record by bassist Marcus Miller. “Marcus made such a great track he made me cry. The conversation we have together where the song transitions is powerful. He pulled out everything and made it such a great experience.” Soul Quest also finds Keiko and Narada Michael Walden paying tribute to Keiko’s all-time favorite musician – Sting. The joy they have creating this song is evident as they both pay homage to the iconic rocker with “Stingo,” a nickname Narada coined for his close friend. “I always want to dedicate my music to world peace and to use my music to give back to the planet,” declares Keiko Matsui. With the release of Soul Quest, her mission is complete and the results promise to be long lasting.